The purpose of the article is to give a recap of India’s Defence in 2018 which could be useful for the candidates preparing for various competitive examinations. The government has allocated Rs 4,04,000 crores to the Ministry of Defence for the financial year 2018-19 out of which Rs 2,95,000 crore is considered as the Indian Defence budget. Rs 16,200 crore and Rs 92,800 crore was allocated towards maintenance costs of the Ministry of Defence pensions of defence employees, respectively. The government’s allocation of Rs 2,95,500 crore towards the defence budget is an increase of six per cent over the previous year. The defence budget of India is 1.6 per cent of the country’s national product and 12 per cent of total government expenditure. This amount is spent on arms procurement, new technology systems and capital expenditure for modernisation. The rest will be spent on revenue expenses like salaries and operating costs. India surpassed the United Kingdom in 2017 and became the world’s fifth largest defence spender. The countries with the highest defence budget are United States, China, Saudi Arabia, Russia, India, respectively. With Rs 4,30,000 crore allocation Russia has the fourth-largest defence budget in the World. When it comes to defence spends, Saudi Arabia does not compromise with national security and allocated Rs.5,37,000 crore. Not surprisingly, China plays for high stakes in the game of armour and sword. China’s defence budget was Rs10,50,000 crore, more than four times bigger than India. As expected, the superpower has always been the number one defence spender in the world, and the defence budget costs the USA a whopping sum of Rs. 42,25,000 crore. Pakistan’s defence budget for 2018 was only Rs 67,500 crore, almost one-fifth of India’s defence budget. However, Pakistan’s defence budget has been increased by 20 per cent over the year. Another critical reason for the budget hike is due to the discontinuation of Pakistan Security Assistance by the USA. China has sway over India regarding men and machinery. China has 6 lakh more active military soldiers than India. China’s apparatus comprises 1,200 military fighter jets whereas India has only 785. India currently has 140 warships, and China has more than 200 of them. China has more submarines, corvettes, destroyers and frigates than India, Japan, and South Korea combined. India is one of the largest arms importers in the world. More than half of Indian military equipment such as fighters, tanks and missiles procured from Russia. The rest of the military apparatus comes from the USA Israel, France, Italy and other countries. The Defence Acquisition Council (DAC) is the Defence ministry’s highest decision-making authority on procurement for armed forces. 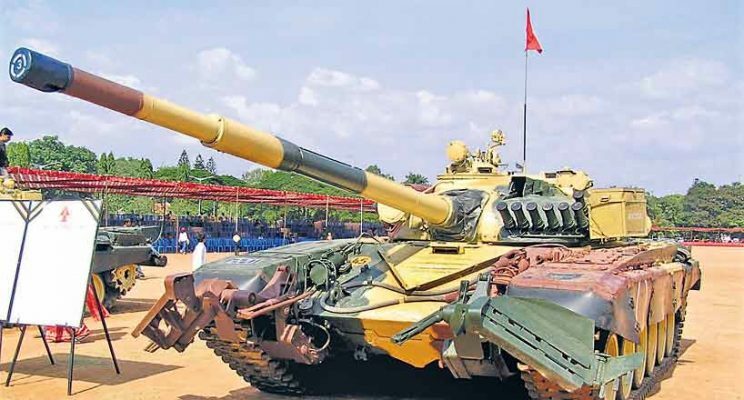 India has the technological capability for building appropriate defence equipment, many startups, companies and the government organisations have started developing indigenously made defence equipment for the Indian Armed Forces. The Defence Research and Development Organisation(DRDO) taken the initiative of enhancing the technology of the defence equipment of the Armed forces. VINBAX-2018 the first Military Exercise between Vietnam and India, held at Jabalpur, Madhya Pradesh in January-February 2018. JIMEX 2018, the third edition of Japan-India Maritime Exercise (JIMEX) was held at Visakhapatnam. JIMEX 12 was the first edition held in 2012 in Tokyo, and JIMEX 13 in Chennai. Sahyadri had represented Indian Navy in multinational exercises RIMPAC 18 in the south-western Pacific region between June 7 and 16. Konkan-18, the joint naval exercise between India and United Kingdom was held from 28 November to 6 December 2018 at the shores of Goa. In September, the Indian Naval Ship Sahyadri participated in the Kakadu 2018, a multilateral naval exercise organised by Royal Australian Navy, in Darwin, nearby the Kakadu National Park in Australia. Sahyadri had also participated at the MALABAR 18 in July at Guam conducted by India for the trilateral naval exercise with US and Japan.